Husband's Letters: Dear Mrs. Loerke, your methods for catching insects fascinates me. Who would have thought vinegar and a funnel would save our fruit? Bill Nye needs to hire you. Dear Pre-Marrieds Class, we meet again. Em and I are looking forward to speaking at you tonight! Dear Teeth, Dr. Morgan says I grind you a lot which makes me have cavities. I told her it's because I get excited every day about work. The price you pay when you love your job! Dear Emma, a few nights ago you had a nightmare that woke both of us up. I held you close and then you fell asleep in my arms. Know that I'll always be here for you! What are you fearful of? Confession. I'm afraid of bugs. I will sometimes even have Em kill them for me. I know. How can a man who loves blood and guts be so terrified of insects? I have no idea. Whole30 Day 23: Breakfast Smoothie, Cherry Pie LÄRABAR, Roasted Almonds, Jazz Apple, Apricots, Banana Muffin, Snappy Salad's Sweet & Smokey Salad (no cheese), Banana Ice Cream. 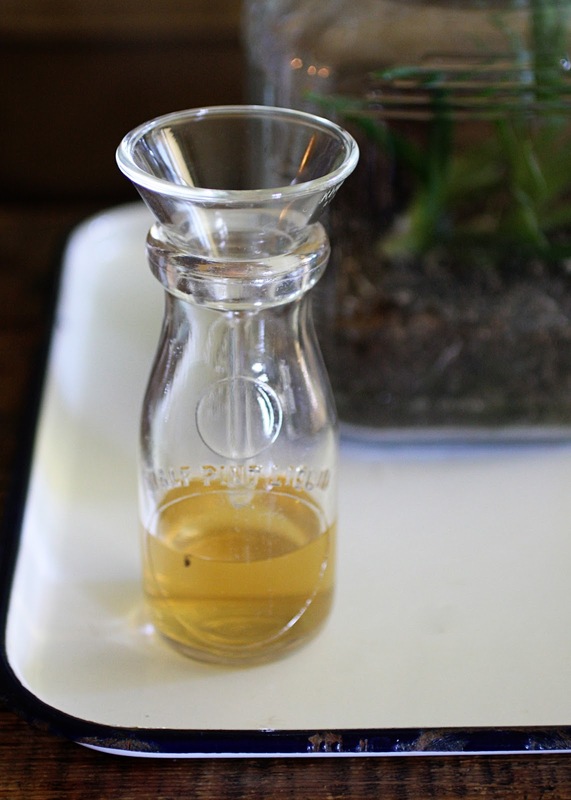 Teach us about this insect killing vinegar and funnel! Hi! I am doing whole30 too! Day 23. I think you need more protein. I had the same problem so I started eating less fruit and more protein a week and a half ago and I feel better than I ever have. Ever. I even have the energy to do Insanity training now. Protein first thing in the morning. Fruit snack around 10. veggie & a little protein lunch. Fruit & nut snack if you need it around 3:00. protein & veggie dinner. protein or veggie snack later if you need it. It sounds silly... But I'm super afraid of breaking a toenail. I don't know what it is about my little piggies, but I can't handle the thought of a broken toenail! ash, tim's biggest fear is finding a roach at home when i'm no there to help him. re: insect trap, the bugs go down the funnel and can't get back out. for some reason they're drawn to vinegar. tma, def need more protien. made an omlette this morning (no cheese) and can already tell a difference. thanks for your sweet advice! han, i've never ridden a rollercoaster. one of my biggest fears! i like to stand in line with my friends but then take the chicken exit. jess, 3 points for saying little piggies before 10am. Too cute, you are afraid of bugs. I on the other hand am afraid of flying. I do at, at least once a year sometimes more, but I still hate it. Something about not being in control, not knowing what is going on, bounching around at take-off. Ugh. Makes me have an ulcer everytime. I'd prefer to have a fear of bugs instead. Wanna trade? Microphones/Public speaking. most eefinitely a "behind the lens/curtain kind of guy. As to rollercoasters, dont know what I would do if i was afraid of those....absolutely LOVE them! ooo..ideaspark...public speaking ON a rollercoaster. wonder if Six flags would let me take a "Mr Microphone" on one if theirs for practice? we used to get extra credit if we watched him in high school. that's the sweetest thing when he'll wake up with you and hug away those bad dreams. so sweet. and secretly, i'm afraid of the dark. and trains. random. only the loerke's would know how to make insect-catching-devices so attractive and pleasant to look at . i remember something like this in our kitchen...except the funnel was cut off the top of a soda bottle that drained into an old cup noodles container. class-ay, huh?! I'm terrified of snakes. Just thinking about them makes my heart replace and my hands feel weak. If I see one slithering in my grass I get so freaked out that I refuse to step in the yard for at least a week. The last two sentences on this blog were absolutely.beautiful. Someone to just hold you and protect you, wow such love! Thank you for everything that you all do through a blog. Its incredible! !